Today, Boy Scouts and adult leaders of seven Councils serving Massachusetts came to the Senate Chamber to make their annual report to the Commonwealth. I was happy to host this event at the State House and have Lieutenant Governor Karyn Polito join me at the rostrum to welcome the Scouts and receive their report. Unequivocally, it is clear that Scouting is strong in Massachusetts with more than 14,800 Boy Scouts and more than a thousand Cub Scout Packs and Boy Scout Troops. 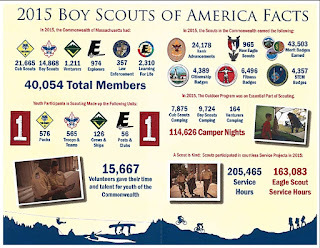 Collectively those affiliated with scouting, including more than 15,000 volunteers, have given more than 200,000 hours in community service. I sincerely hope that some of today’s visitors earned a Citizenship Badge because they certainly deserve one.